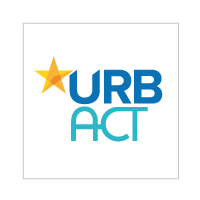 Warsaw as CITYLOGO URBACT II partner participated on February 5th in one-day seminar for polish URBACT II partner cities and on February 6th in URBACT III InfoDay. The meetings took place in our city in the Ministry of Infrastructure and Development. projects will start in April 2016 and will last until April 2018. The rest of the meeting concentrated on exchanging experience in panel discussion between URBACT II partner cities and potential partners of URBACT III. CITYLOGO Warsaw local project coordinator has presented the opinion that URBACT for CITYLOGO in Warsaw was all about the collaboration.